Wedding season is upon us and we couldn’t be more excited! From picking the date to walking down the aisle, there are so many things to plan for in between. One thing we know about summer weddings is that they get hot! Plus, if you’re having an outdoor wedding, you really do have to plan ahead since you won’t know what the weather will be like. 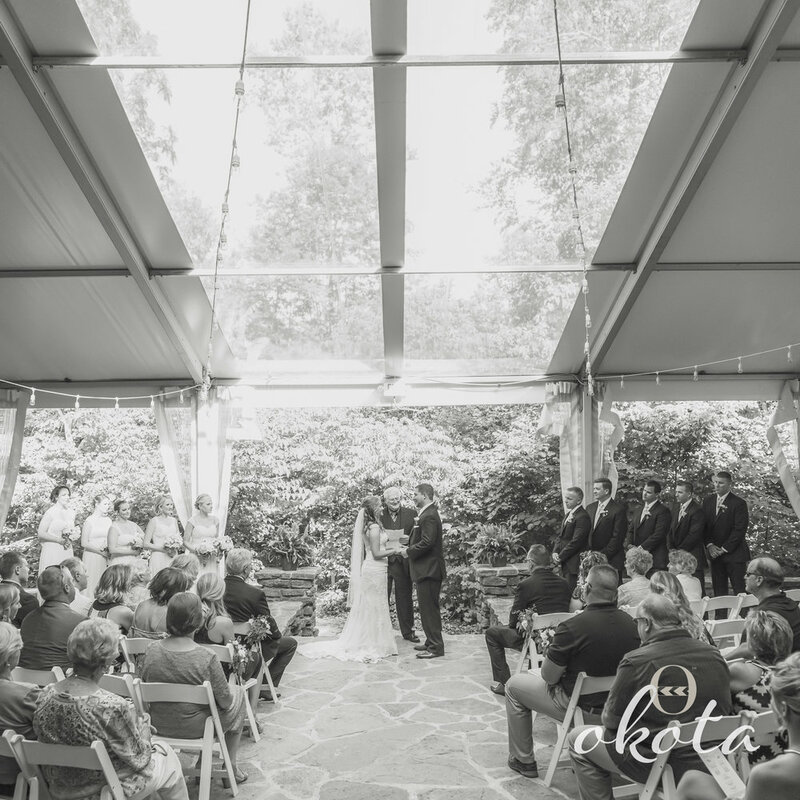 OKOTA has your back in planning ways to stay cool on your wedding day! Trust us, it’s worth it! Spending a little to stay cooler on a hot wedding day is definitely worth it so you can focus more on your big day than how hot you are. We recommend including it for all your bridesmaids and groomsmen so they can stay cool too as you all prepare. Include it in a little bridesmaid bag along with other getting ready items (deodorant, cleansing wipes) and they will thank you for planning so well! There’s nothing wrong with too much ice and water! We recommend having water and or cups of ice at the ceremony (if possible) so that guests can remain hydrated as they are waiting. Harry and Meghan’s royal wedding included water bottles in the guest favor totes, which was a great idea when you have a long day ahead! You can even customize the water bottle labels with your initials to keep with the theme of the wedding. Yes, we know you probably want to wear heels for your wedding, but after the ceremony heels and heat will definitely wear you down faster. 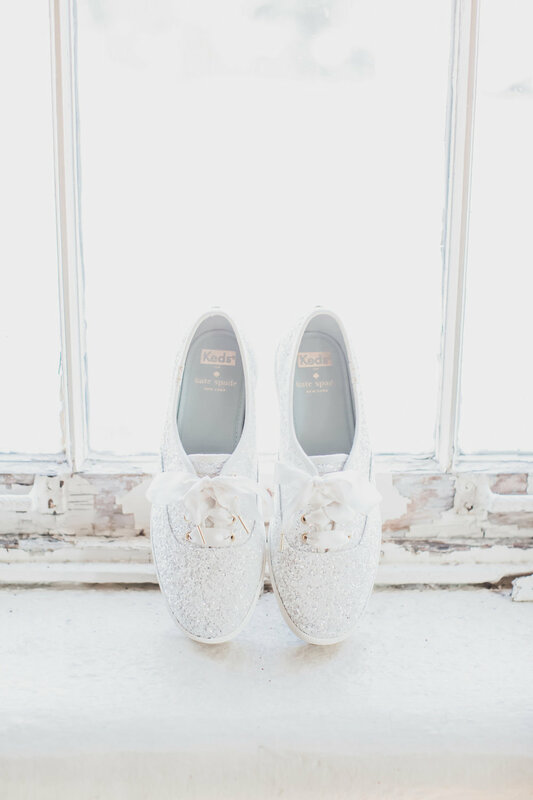 We always recommend brides have a second pair of shoes that are comfy and breathe in the heat. You can definitely find adorable sandals or flat wedding shoes that will match beautifully nowadays. You’ll thank us later when you switch into them with a big sigh of relief! Even if your wedding day is outside, make sure you have the option of taking breaks inside as well. Even the biggest summer heat lovers need an air conditioning break to cool down. You can split the reception into an indoor/outdoor area or have a sitting area where guests can take a break inside. Planning ahead as to where you can take a break will work wonders to keep everyone’s energy going all day and night long! Your dream is to wear a ball gown, but you’re having a July outdoor wedding. Perhaps you love the idea of maroon satin bridesmaid dresses, but it will be 90 degrees. When you plan your wedding date and venue, make sure you take into account the attire you will be choosing. If it’s hot out, but you’re having an indoor ceremony with air conditioning, it may not be too bad! If you’re going to be outside in the heat, you’ll want to choose attire that works with the weather, not against it. Keep fabrics light and breathable with fabrics like organza, tulle, and chiffon. Stay away from dark colors that will absorb any heat and sunlight and be weary on tight, heavy gowns that will be restricting in the heat. Plan ahead as to what your venue offers. Trees are a great natural source of shade, so you may not have to worry about direct sunlight for an outdoor wedding. Some places have tents to help block out direct sunlight for guests that will help them stay comfortable. Even better, if a venue provides fans, take them! They can be strategically placed throughout to be hidden away, but keep the airflow going as you dance the night away. Trust us, with enough hairspray you already have in your hair, it won’t even be an issue! There are tons of ways you can keep your guests comfortable throughout your wedding day. As we mentioned before, water and fans are so very important to have during the day. One popular item we see are paper fan programs for guests. This way, they man fan themselves to stay cool both during the ceremony and afterward. However, you can also have “cool” desserts too, such as Italian ice, snow cones, and ice cream! It’s a creative way to do a dessert table too, but also keep everyone cool. When in doubt, waterproof it! Even if it’s a beautiful sunny day with no chance of rain, you’ll want waterproof makeup for the heat you’ll be fighting with. You can definitely find makeup that will withstand a sweaty day ahead, and if you’re getting your makeup done, they will know how to prepare. Double up on hairspray and bobby pins too to prevent and drooping or loss of style. Any updo is always smart to keep your hair off your back and skin to keep you cool and hair intact! This may seem obvious, but it’s so important! We recommend putting mini ones the bridesmaid goody bags so everyone has their own for the day. Also, deodorant isn’t just for your underarms! Any summer bride who’s already had their wedding knows that deodorant between your thighs will be a lifesaver when you’re in a hot gown. Also, it’s great for any areas your shoes will rub on your feet and create blisters. In short, deodorant will solve a lot of hot weather issues! Even if you’re dreading your hot summer wedding, don’t! Enjoy every single bit of it, even if it isn’t exactly how you planned it to go. Stay hydrated, take breaks, and laugh at the moments where things slip up. In the end, you’ll want to remember this day, so take in every minute of it! Whether you’re planning a hot summer wedding or a snowy winter one, OKOTA is ready for every moment of your big day! From emergency kits to doing last minute floral touches, we do everything wedding-wise to make your dream day come true. 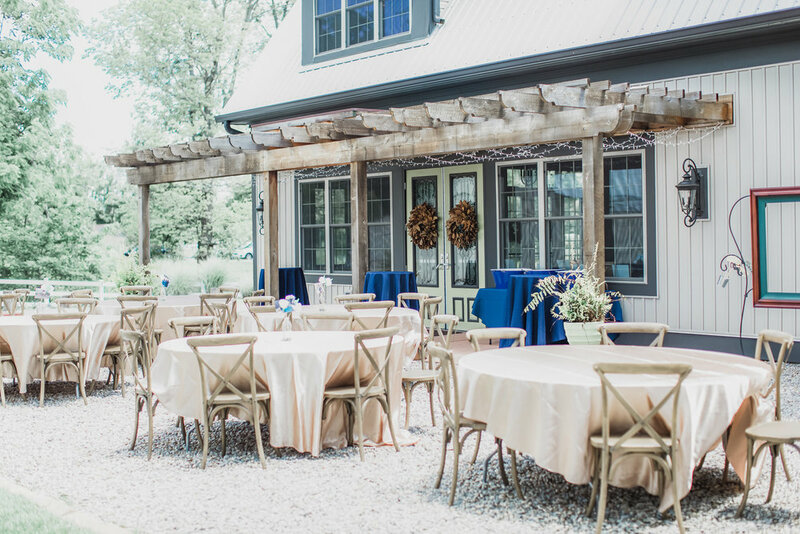 Check out our day of coordination packages so you can kick back and relax as your wedding day comes.